It’ll be impossible to use stretched resolutions in competitive matches. Fortnite: Battle Royale professional players are annoyed by the changes announced yesterday that will alter stretched resolutions in the game’s competitive modes. Players who use stretched resolution in Fortnite will no longer be able to get a wider field of view when doing so. Instead, the resolution in the Arena mode and competitive in-game Events will be locked at a 16:9 aspect ratio, making it impossible to see more things on your screen than players on native resolution. 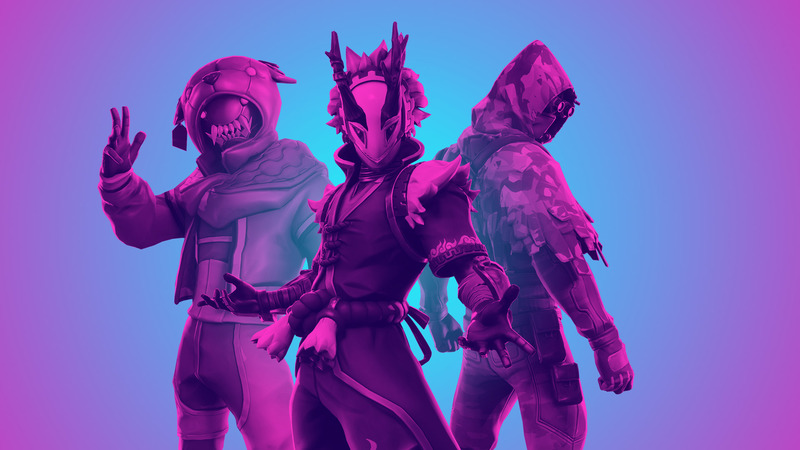 Professional players have started complaining about the effects that Epic Games’ decision will have on the upcoming Fortnite World Cup Open Qualifiers. Sentinel’s Cayden “Carose” Bradford wrote that he was “so demotivated” after playing a whole day on native resolution. “This game is just a joke… huge waste of time,” Carose said. “World Cup is going to be complete RNG just like how the game is.” He said he felt “just depressed at this point and lost” after Epic announced the changes. after playing a whole day on native im so demotivated, this game is just a joke man… huge waste of time, world cup is going to be complete rng just like how the game is… i just dont know what to say im over it. TSM player Daequan Loco made fun of players who have been using stretched resolution, writing that it’s “time to throw the cartridge away” while showing a montage of Fortnite as a Game Boy Advance game. Epic has yet to comment on the negative feedback it has received from professional players.